Home » technique	» Stranded Yarn :: How to Combat the "Loops"
Stranded Yarn :: How to Combat the "Loops"
A recent discussion in our Ravelry group made me realize that there’s something we haven’t talked about in awhile, and that this would be a good place to give a comprehensive overview of some solutions. As you’ve been working with your Yarnia yarn, some of you may have noticed some “loopiness” in your yarn, or what seems like different components of the yarn coming off of the cone at different rates, as you work with it. This can happen for a couple of reasons. 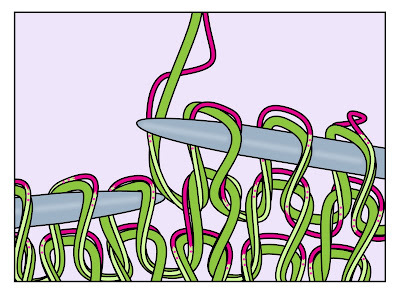 Your yarn may have a combination of fibers and strands with different elasticities (i.e. wool versus cotton, or simply a yarn that has a nylon or polyester binding to give it some intentional stretch), and the more tightly you knit with all the strands together, the more this difference will be visible, and the “loopiness” can grow. 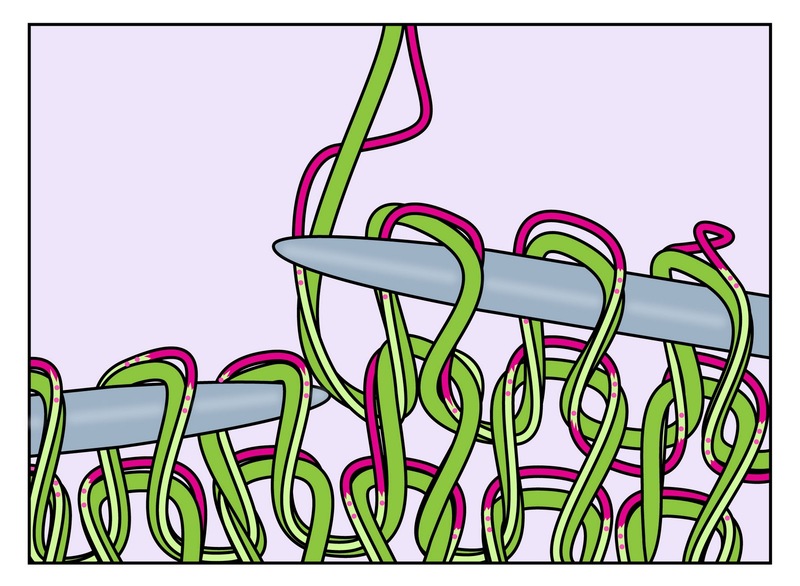 Because all the strands are wound onto the cone at the same tension, that means they will all come off the cone at the same tension as well, if unwound naturally. 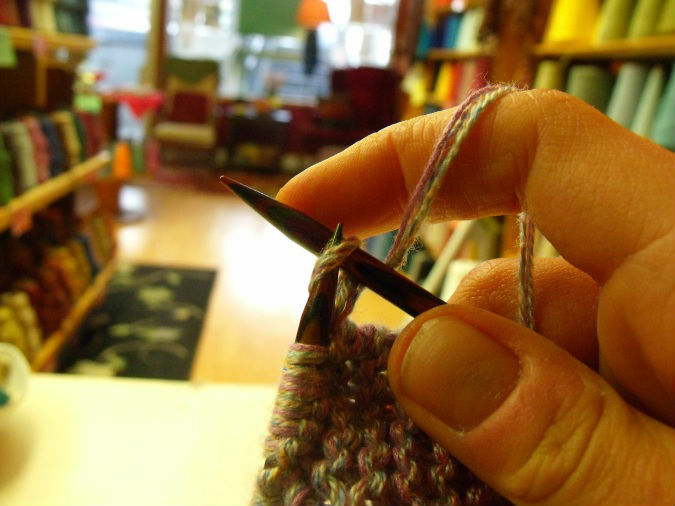 Of course, the act of knitting or crocheting isn’t the same as just peeling the strands off the cone — you put pressure on the yarn as you work. You can see here that when the yarn is held taut, all the strands are at the same tension, coming off the cone. However, if I were to squeeze the strands tightly between my fingers and run them towards the cone, I’ll start to see some discrepancies in the yarn. This is essentially what you’re doing when you’re working with the yarn, to varying degrees, depending on how tight or loose of a knitter you are. I’m sorry to say, this does mean that those of you who consider yourselves to be tight knitters may run into this problem more than others, and purposely controlling your knitting or crocheting tension is one of the hardest things to regulate. But don’t fret! 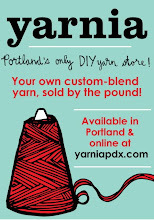 This doesn’t mean knitting with stranded yarn has to be a frustrating experience. My advice, if you think this might be the case for you, is that rather than trying to “knit looser” with the yarn, focus more on how you’re carrying that yarn. 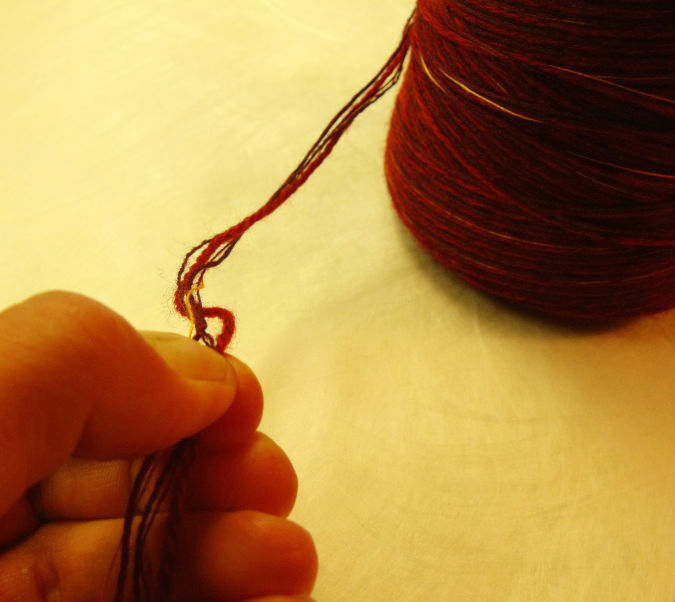 While yarn tensions can be different, this differential can usually be worked into your piece as you go — if you carry your yarn loosely, letting it slide through your fingers rather than gripping it tightly and forcing that differential further and further down the line. In other words, don’t fight it! Work that difference into your knitting as you go, and you’ll have a lot longer of a stretch before the strands have the potential to become tangled and force you to cut your yarn and start anew. There is no rule of thumb for which fibers will necessarily cause this to happen when combined, but there are two general guidelines I’d suggest, if you find this is happening for you more often than not. 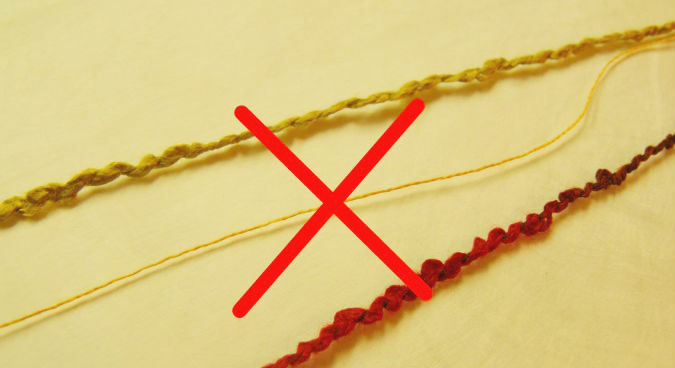 The first is, stick to only mixing fibers that have similar tensions — i.e. keep drapey fibers like bamboo and rayon together, or more springy fibers like wool and acrylic. 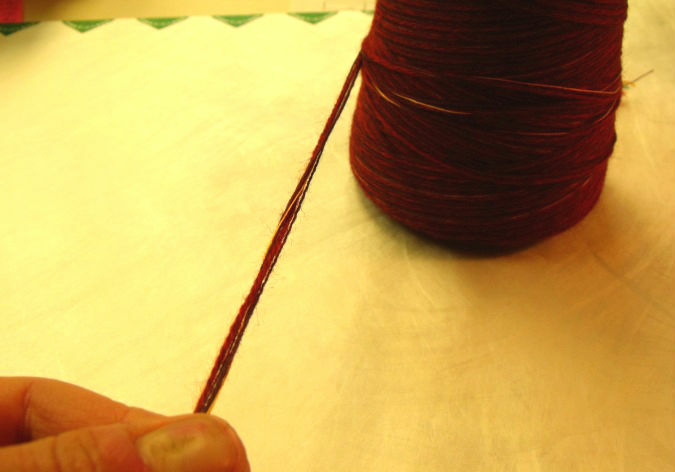 The second is, try to choose fibers that are relatively similar in weight (thickness). Even if you have combined a few strands that have fairly similar elasticity, pairing a strand that is very, very thick along with a super thin strand, or a few strands with very different textures, will give the same effect; the thick strand will take up more room on the cone, and make it more difficult for the strands to work in concert together as one yarn. The other reason this loopiness can happen is if, while winding, one of the yarns jumped out of its tensioning gate. This does appen from time to time and sometimes we miss it if we’re not watching closely enough! The good news about this is that it is usually temporary, and should not continue for the entire cone. My advice with this is to keep knitting until it’s really causing you problems, cut the yarn, smooth it out so that all the strands are even again, and rejoin. Hopefully you will have gotten past the segment where the tensioning was off and you should be good to go. If you’re on Ravelry, there has also been quite a bit of discussion about this topic, along with different solutions other customers have come up with, both here and here — including knitting from the cone sideways, winding particularly tricky yarns into balls, and more. Have you run into this problem with your yarn? What tricks or workarounds have you found to make it easier?